The official lyric video for the song “They Played Rock And Roll” from British heavy metal legends SAXON can be seen below. The song is taken from the band’s 22nd studio album, “Thunderbolt”, which will be released on February 2 via Militia Guard (Silver Lining Music). The follow-up to 2015’s “Battering Ram” was once again helmed by producer Andy Sneap, who has previously worked with JUDAS PRIEST, MEGADETH, ACCEPT and TESTAMENT, among others. The disc will feature original artwork by longtime SAXON collaborator Paul Raymond Gregory. 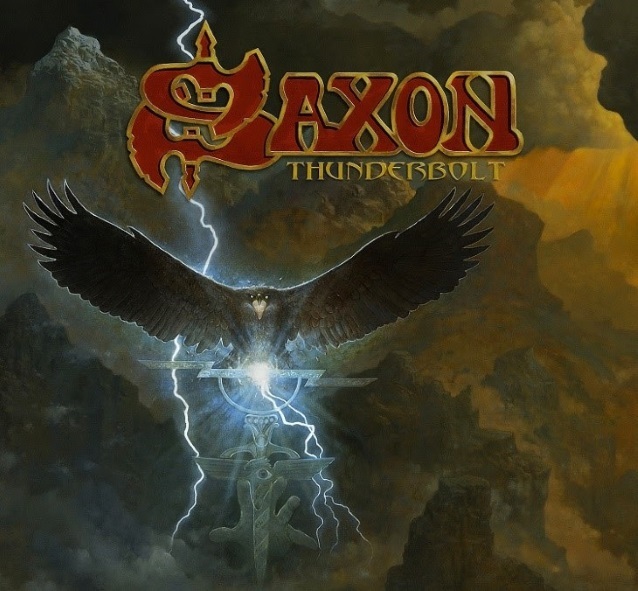 Like “Battering Ram”, SAXON‘s new effort features Byford alongside Paul Quinn and Doug Scarratt on guitar, Nibbs Carter on bass and Nigel Glockler on drums.